This is a restoration of a 1934 Wheeler classic cruiser. 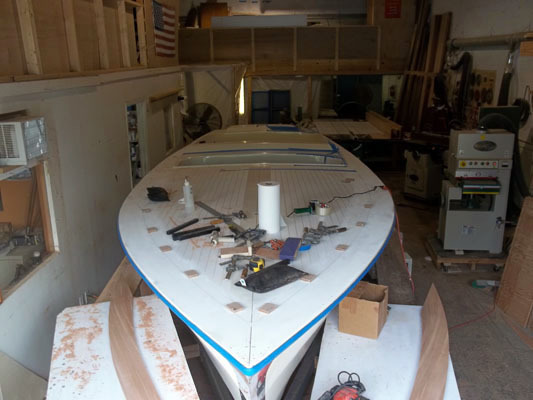 This project is especially interesting as it is being retrofit to resemble Ernest Hemingway’s Wheeler yacht named “Pilar.” Pilar is famously known as the vessel Hemingway used to chase everything from blue marlin to German U Boats. It is presently on stands behind Hemingway’s villa in Cuba. Here is a set of pictures showing the start to finish process of the design and fabrication of custom barstools to be installed on a new 130’ mega yacht. 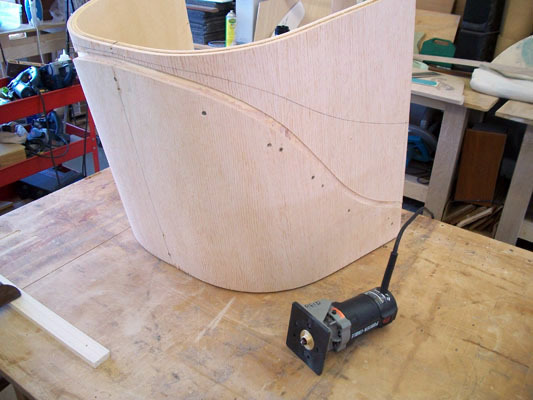 These stools feature a vacuum pressed bent laminated back. Materials used are sapele plywood, stainless steel and faux leather upholstery. 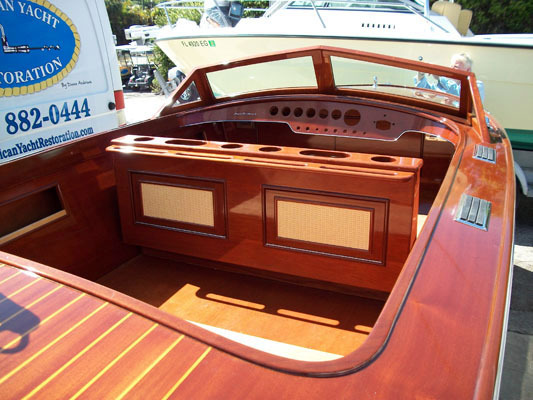 This project was a refit of a fiberglass hull in which we installed a custom mahogany deck and trim package. This conversion of the 1989 Packard dual-cockpit run-a-bout was a real visual transformation from a modern gel coat molded hull into a beautiful classic run-a-bout reminiscent of classic lake boats in New England. 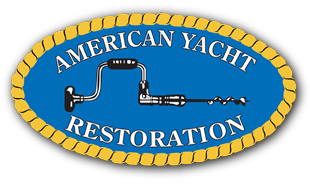 American Yacht Restoration utilizes its vast set of skills of its qualified tradesmen to fabricate a variety of unique and custom projects. 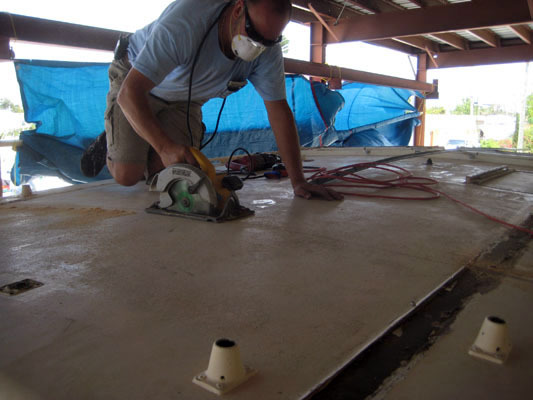 We have all the knowledge and experience to fulfill your needs while implementing function with safety integrated with exceptional finishes and detail.